Calmat is an eco-friendly water treatment system that protects the whole piping system and appliances against scale deposits and rust. The Calmat-Impulse-Technology is based on the principle of physical water treatment. Special electronic impulses change the crystallization process of the liquid calcium, this way the hard scale loses its adhesive power. The technology works exclusively with capacitive electric impulses and doesn't use magnetic fields. Calmat operates without the use of any salt or chemicals and requires no maintenance. Calmat works without salt or chemicals. Calmat prolongs the lifespan of household appliances. 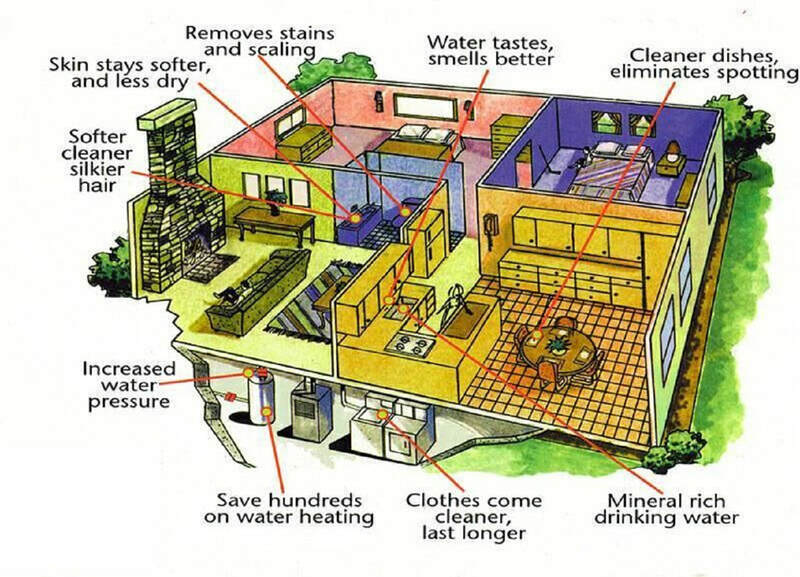 Less time and money spent on repairs and maintenance in your home. Calmat retains important minerals in the water. Considerable savings in washing and cleaning agents. Water pressure will be restored. High efficiency for your heating and hot water system. Calmat works without magnetic fields. Very low electricity consumption 4.3 W.
Easy Do-it-Yourself installation without cutting the pipes. Works on every pipe material – iron, copper, stainless steel, galvanized iron, plastic, PVC, PE-x, compound pipes (any material mixture) etc. Quality Made in Germany since 1948. ​POP-display, monitor with looped informational video and marketing material AVAILABLE for Dealers.